Read the full article on the Washington State Wire here. State Representative Gael Tarleton (D-Ballard) has received the Washington Business Alliance’s 2017 Career and Technical Education Legislator of the Year award for her advocacy to fund career and technical education (CTE) in grades 7 through 12 in our public schools and skills centers. Tarleton has worked with colleagues across the aisle in both chambers for several years to push for CTE and skills centers to be included as basic education and fully funded as our paramount duty. Landmark investments of nearly $200 million in the 2017-2019 budget will create new pathways towards a high school diploma and jobs in the trades. “With this CTE funding, the kids are the winners. And our state’s future as a global leader in maritime and manufacturing jobs feels a bit more secure. Today, more than a million jobs in our state depend on people who can build ships and airplanes, take fishing boats into the North Pacific, design robots, repair underwater sensors, read navigational charts and data, operate cruise ships, monitor engine performance in Arctic waters, and run the IT infrastructure in our biotech and medical research labs,” Tarleton said. Rep. Tarleton believes we need K-12 and community and technical college systems working together to connect high school graduates directly to higher educational opportunities that prepare them for jobs in the trades. 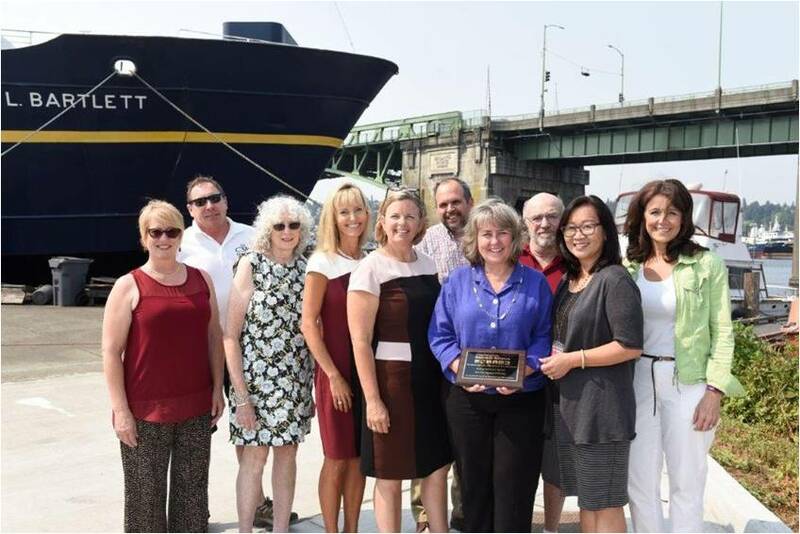 As an example, Ballard High School’s Maritime Academy partners with Seattle Central College’s Maritime Academy. Now, with full funding for CTE and skills centers, these kinds of partnerships will be possible between high schools and community and technical colleges in every community. “WA Business Alliance believes all our kids need pathways to a diploma. Our businesses need these skilled, qualified workers. CTE classes will now be back in Washington’s middle and high schools because of the landmark work of Rep. Tarleton and her colleagues to make CTE part of basic education,” said Colleen McAleer, President of the Washington Business Alliance and Port of Port Angeles’ Commission President. Representative Tarleton is the House Majority Floor Leader, Vice Chair of the Technology and Economic Development Committee, and also serves on the Higher Education, Transportation and Rules committees. She was recently elected as a Vice President of the Pacific NW Economic Region (PNWER), a U.S.-Canadian legislative body that advocates for northwest regional cooperation on economic, environmental, and disaster resilience public policies.